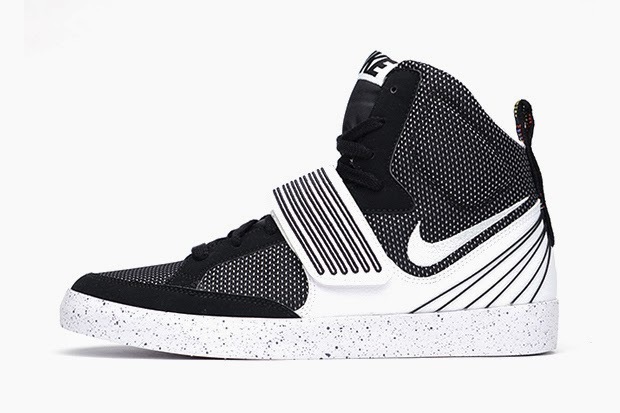 Nike presents its latest Skystepper iteration for 2014 with a back-to-basics black and white colorway. Boasting a simple black and white woven upper, the high-tops feature white overlays accented with crisp black lines as well as a smooth speckled white outsole. Adding a small touch of contrast is the colorfully-patterned pull tab running down the heel.